Randal Jarvis Reeves, age 63 of Mauriceville, Texas, passed away on Wednesday, March 13, 2019 in Beaumont, Texas. Family and friends will gather for memorial service to celebrate Randal's life at 1:00 PM on Saturday, March 23, 2019 at Delta Downs Paddock. Randal was born in Lucedale, Mississippi on March 8, 1956 to Betty and Jarvis Reeves. 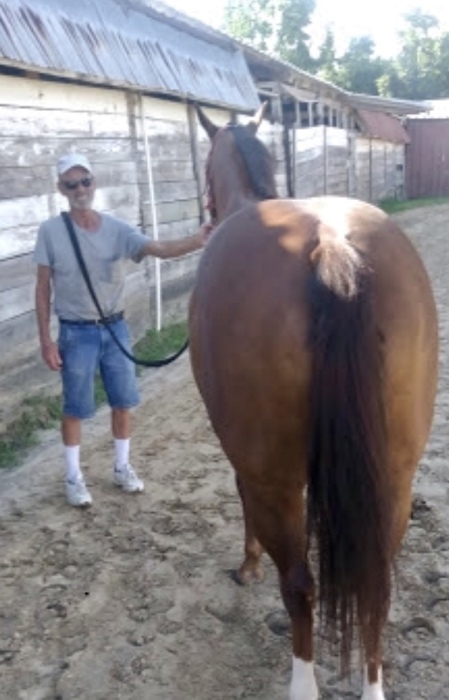 Randal had a great passion for horses and dedicated his life to being horse trainer. He will be greatly missed by his family and friends. He is preceded in death by his parents, Jarvis Reeves and Betty McDonald and step-son Johnny Inabinett, Jr.
Those left to cherish his memory are his wife Melanie Reeves of Mauriceville, TX, daughter Tabitha Cain and her husband Josh of Grandbay, AL, step-son Jason Inabinett of Mauriceville, TX, brothers Kerry "Speedy" Reeves and his wife Lyn of Mobile, AL, Howard Pierce of Mobile, AL and sister Marty Dueitt and her husband Mike of Mobile, AL and two grandchildren; Tyson Cain and Cooper Cain.